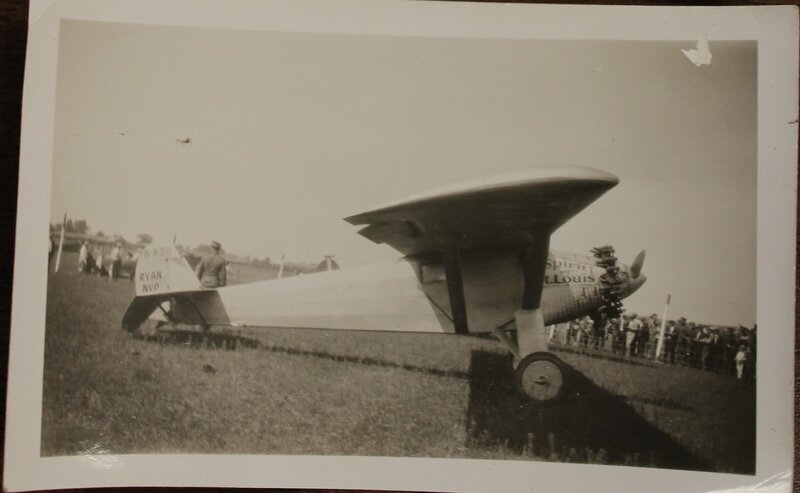 July 6, 2019: Carriages, Cars, and Prohibition! Carriage house opens at 11am. Cars on display starting at noon. 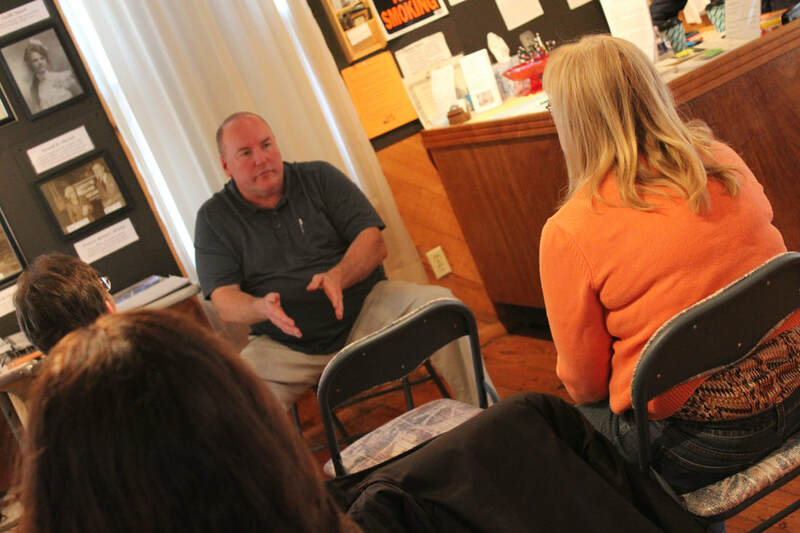 Prohibition presentation at 2pm, given by Mr. Volstead (Doug Bengtson) of Granite Falls. Prohibition was known as the "Volstead Act." Learn what it was like to be the most hated man in America! Q & A following presentation. Refreshments, Roaring 20's music, Charleston lessons, displays and information on prohibition and WCTU. Tours of the house. 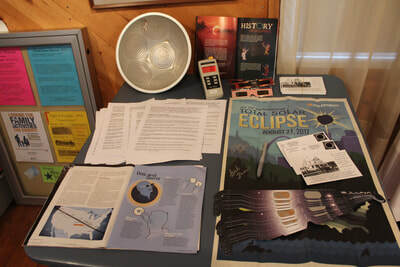 ​July 12 - 15, 2018 - Todd County Fair - Stop out to the Todd County Historical Society building to see our 1918 "Flu" display. 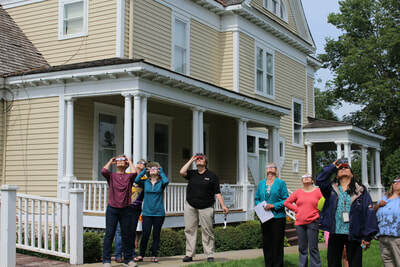 The Historical Society building is open noon - 9pm Thurs., Fri., and Sat. 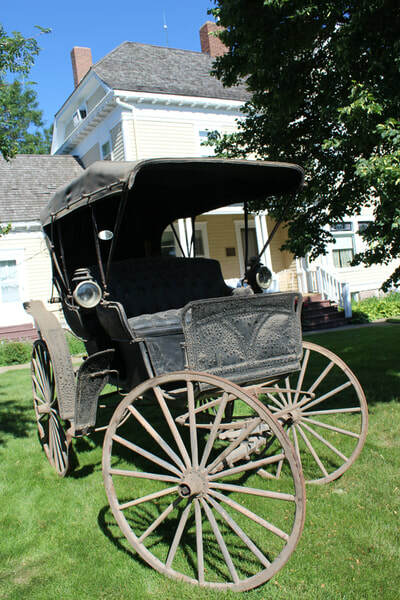 July 7, 2018 - Carriage and Cars AND Local Celebrity - Book Signing!! Jeff Lucas will be here with his "Images of Long Prairie" book, a look at historic Long Prairie. Carriage and Cars on display. 10 am - 4 pm. 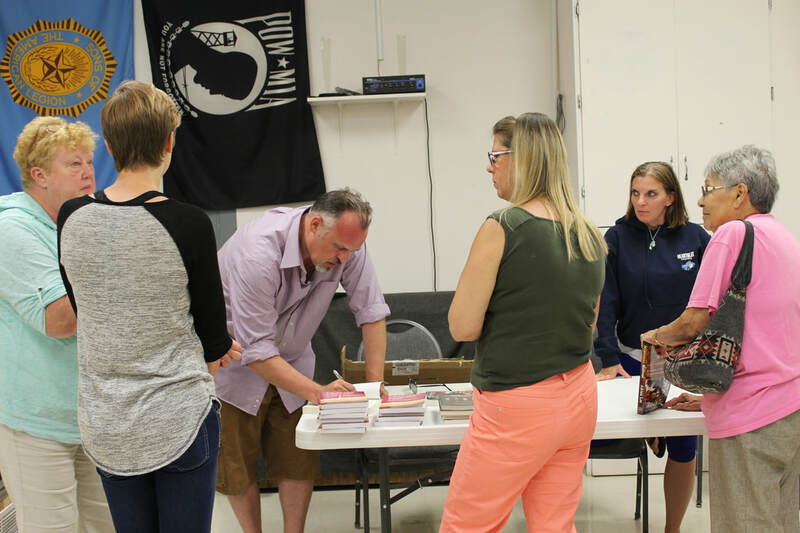 ​Jeff Lucas book signing 10 am - 2 pm. 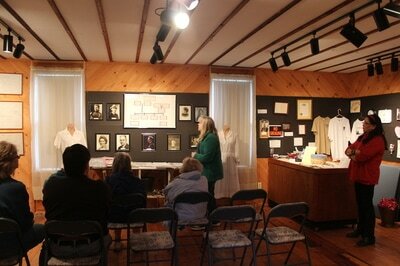 Tours of the house 11 am - 4 pm. ​Jeff will have books for sale at this event! August 17 - 18, 2018 - Veterans Bike N Trike Rally - open for tours Noon - 4 pm each day. Veterans tour FREE! Sept. 1, 2018: Open for tours by appointment! Contact us to book a tour. ​Sept. 14, 2018: Christmas Quilt Raffle tickets will go on sale at the Todd County Museum. 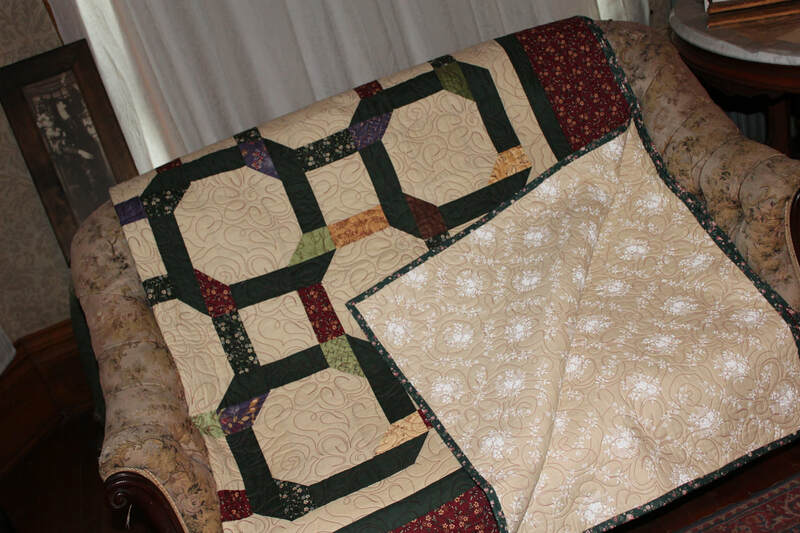 The Todd County Museum and Christie Home Museum are working together on this quilt raffle. More info to come! Drawing will be held Dec. 12th! (Need not be present to win.) You could win some great Christmas gifts! Click on photos below. Sept. 15, 2018: Tours After Dark with Adrian Lee - 7:00 pm ! !SOLD OUT!!! 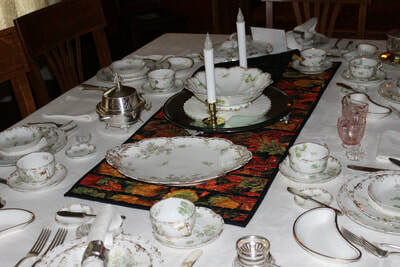 Nov. 10: Ladies Day - Highlighting Ida Christie and her handiwork. Carriage house open noon - 4pm. 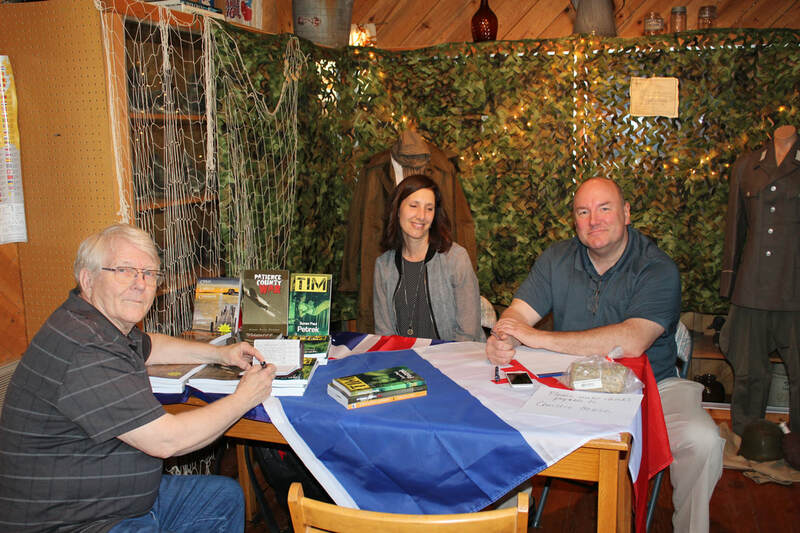 ​Treasure hunt, prizes, refreshments..... Do a little Christmas shopping - cookbooks, Jeff Lucas books, Soren Petrek books, Adrian Lee books...…. coloring books..... Christmas Quilt Raffle tickets!! ​Nov. 23, 2018 - Christmas tours begin!! Nov. 23 & 24, and Dec. 8 2018: The Carriage house will be open from noon – 5 pm each day for your Christmas shopping pleasure. Tours of the Christie Home Museum will be conducted at 1:30 and 3 pm these days. ($5 for Christie Home members) Hot cider and goodies. $25 ($20 for Christie members) includes tour, flowers and container. Reservations required. ​Thank you to everyone who turned out and to Mr. Petrek for a great Q & A session! ​We have signed copies of Paul's books available for purchase in the carriage house. Native Americans' role in the formation of Long Prairie as a town. ​ 12:30 - 2:30 - Make your own mini-tipi with the scouts. ​Instructions for building your own tipi will be available. Sign up to become a scout! 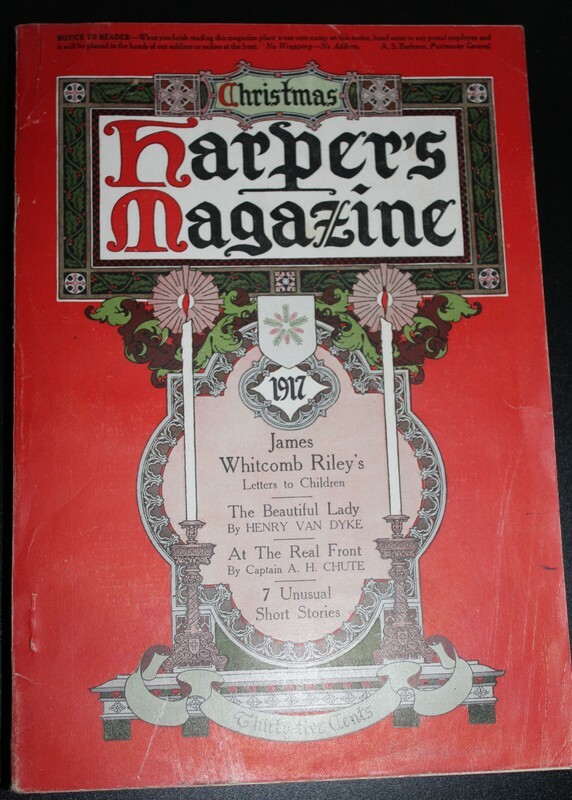 Check out the 1918 "Flu" epidemic information in the Carriage house. Looking back on 2017: THANK YOU! To everyone who came for a visit! 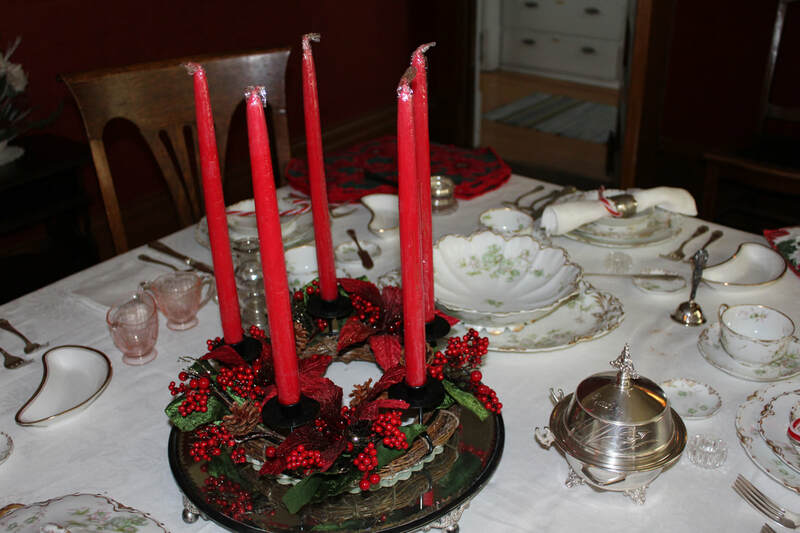 Nov. 24 and 25, and Dec. 9, 2017: Experience Christmas traditions and learn how they changed from the Victorian era through WWI. 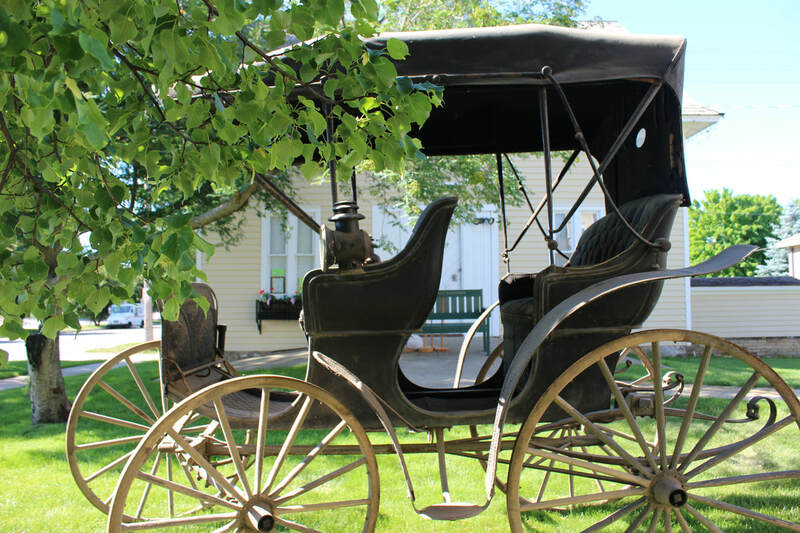 ​The carriage house will be open Friday and Saturday Nov. 24 and 25, and Sat. December 9 from 1:00 - 5:00 pm. 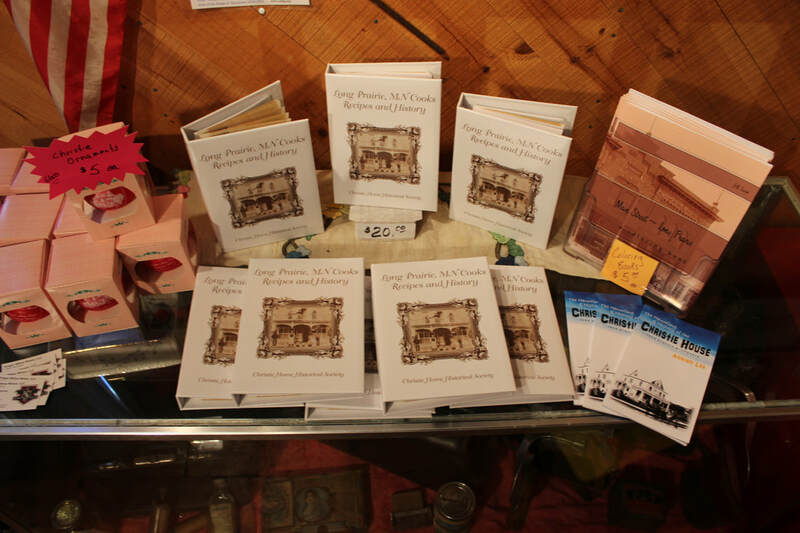 Stop in and pick up a Long Prairie Coloring Book, Long Prairie Cooks Cookbook, Christie Coloring Book, Christie ornament, or Mysterious Midwest. Hot cider and goodies. 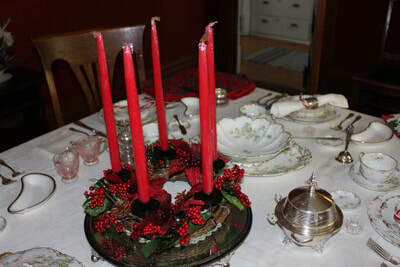 ​We've added another Candlelight Tour! Dec. 15th - 5:30pm. Reservation required. ​** Bright Friday Night Santa Parade begins at 6:00 pm on Friday Nov. 24th and marks the day the Christmas lights in town and on the Christie house are turned on for the season. The parade runs down Central Avenue. 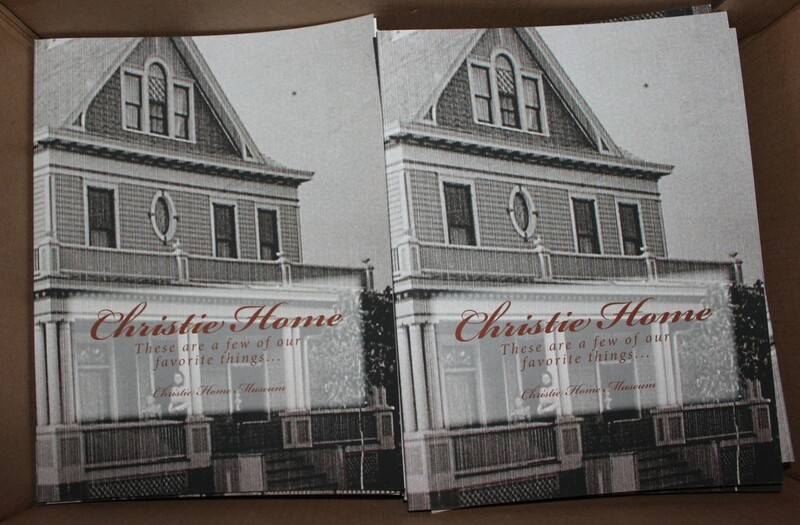 Christie Home Museum Coloring Books - NOW AVAILABLE!! Additional prizes: Fall Table Runner (approx. 16 x 40"), Christie Home "Long Prairie Cooks" recipe book, Gift Baskets from Dragon Willow Winery and Hats Off Coffee, set of Lewis and Lindbergh books. The quilt and table runner are on display in the Christie Home Museum. Limited number of tickets - don't miss out!! Sept. 30, 2017: National Mulled Cider Day! Come celebrate National Mulled Cider Day at the Christie Home Museum. Browse the displays in the carriage house all day (10:30 - 4:30), or come for tours of the house (11am, 1 & 3 pm). Sign up for a door prize drawing, get lucky at the ducky pond (with paid tours), use our props for photo ops! AND we'll have hot cider and snacks! Drawing for our Comfy Cozy Quilt Raffle will be held at 4:30pm. Get your raffle tickets before it's too late. ​The Lindbergh information will be on display in the carriage house all summer! 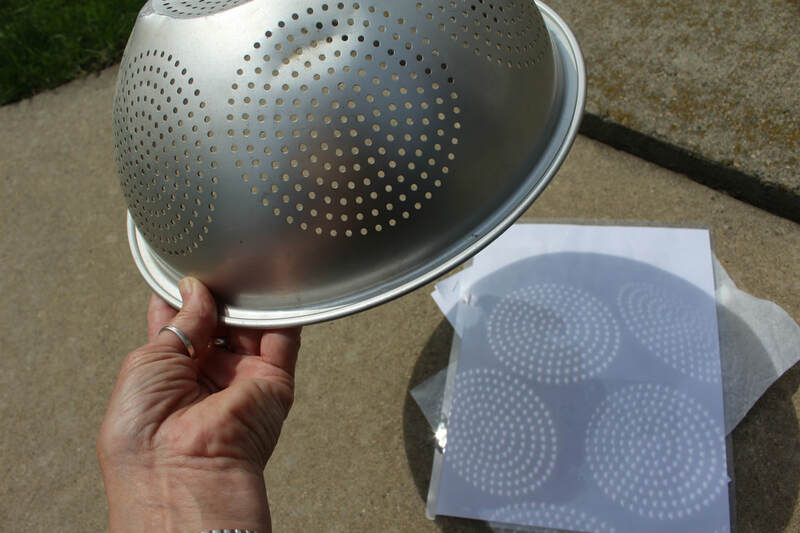 Aug. 18 & 19, 2017: Long Prairie City Wide Garage Sales and CRAZY DAYS! And the annual Bike & Trike Rally! 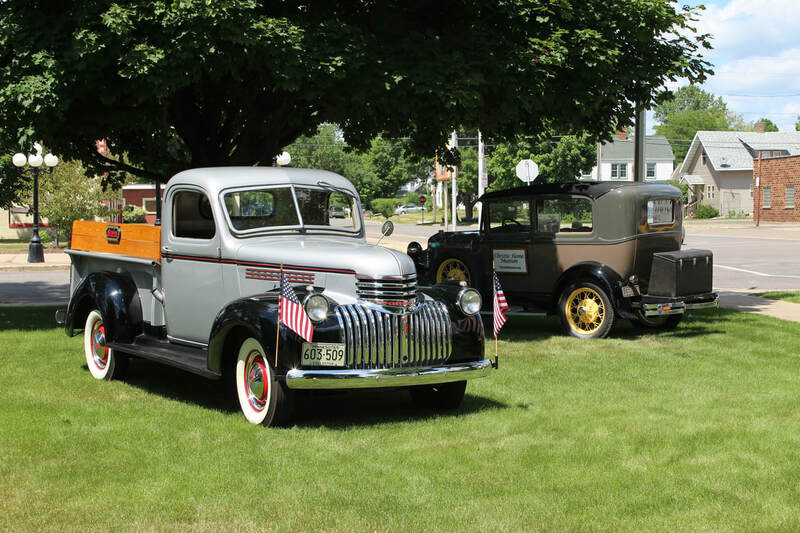 On display will be a carriage purchased in Long Prairie in 1912, Williams Dingmann horse-drawn hearse, Model T, 1930 fully restored Model A, 1946 Chevrolet pickup, and more!! 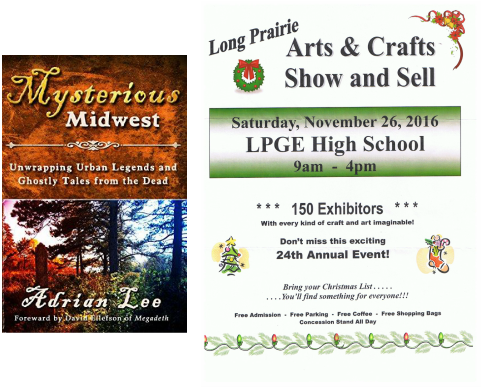 July 8, 2017: Mysterious Midwest by author Adrian Lee: 7 pm at the American Legion. 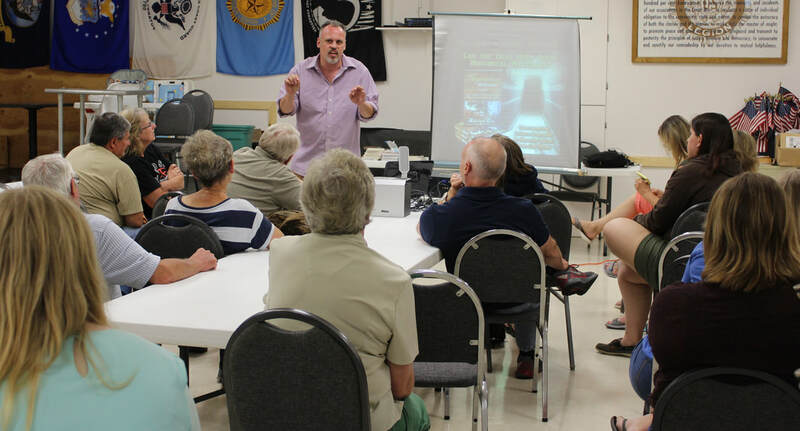 This presentation will include information from paranormal investigations in Long Prairie, as well as various other sites throughout MN, WI, and IA. Refreshments will be served after the presentation. $5.00 admission fee each plus a non-perishable food item for the Long Prairie Food Shelf. Seating is limited, so please RSVP via the "contact us" page or call 320-297-0205. AMAZING day for Carriages, Cars, and Mysterious Midwest! Thanks to everyone who stopped by! 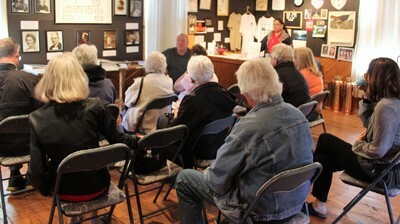 The Christie Home Museum thanks EVERYONE who toured the house today! We had visitors from Long Prairie, Browerville, Staples, Osakis, Little Falls, Plymouth and Slayton, MN. AND from Glendive, Montana and Ridgeland, South Carolina! 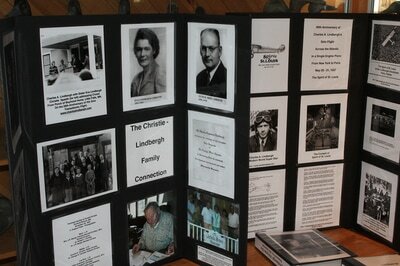 Thank you to everyone who came out on a rainy day to view the Lindbergh information and to tour the house! Lindbergh plane photos provided by Gail Thompson. 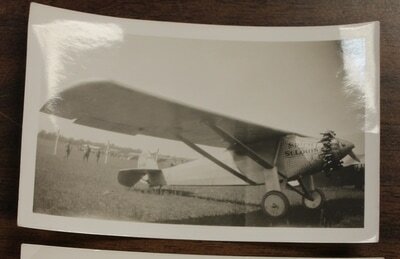 They were taken by her grandmother in Little Falls, MN during Lindbergh's Victory Flight. 15 1st St. S., Long Prairie, MN. Starting at 4pm, with a short program explaining how David Ellefson got involved, a video of David reading the forward, and Adrian reading selected excerpts. Signed copies available. Bright Lights Holiday Parade starts at 6 pm! The carriage house will open at 1:30 pm on Nov. 25th, and a tour of the house will begin at 2 pm. 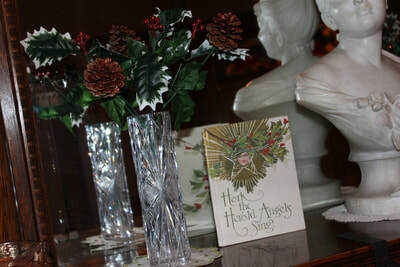 We also have gift certificates available if you wish to give someone a gift of touring the house next year! Photos from the booksigning and parade. Click on photo for full view. THANK YOU to everyone who attended the 2016 Tour After Dark! Thank You to Adrian Lee for once again leading our tours. ​ Emails received after the tour: "Thank you so much - we had a lot of fun on the tour!" "The After Dark Tour was awesome ... ! If you haven't participated, you need to! I learned a lot of LP history that I wasn't aware of along with being intrigued by the spirits that are a part of the Christie Home ... Those of us on the early tour even experienced 'spirit energy' in the main parlor of the home! 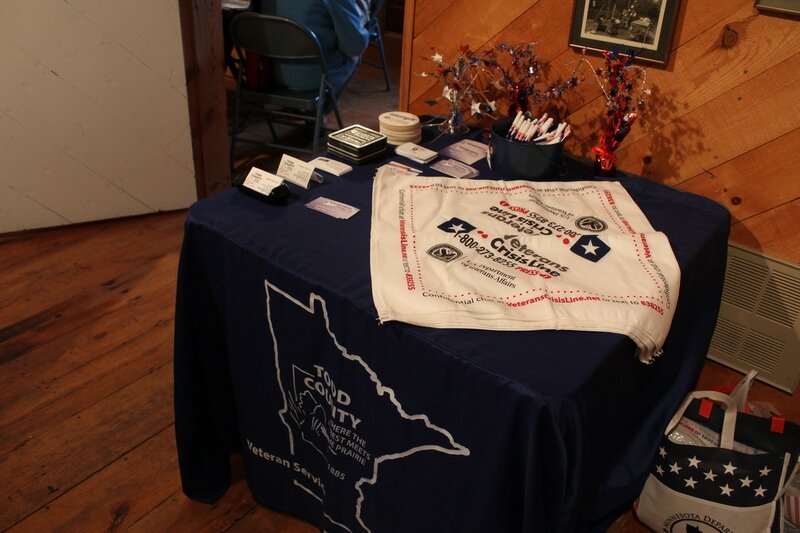 After participating in this event and talking with my dad about the history I am becoming a member!" "A HUGE Thanks to you and the Christie Home for providing this tour with Adrian Lee. 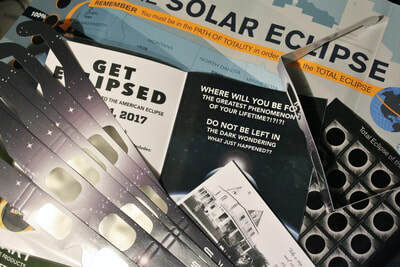 I found it to be very informational and alot of fun. We enjoyed it and look forward to seeing it again." ***Registration Closed - Sold out!! Sept. 17, 2016, 3rd Annual "Tour After Dark"
"Flashlight Tour" of certain famous houses, all rolled into one! There will be door prize drawings and goodie bags for each group. ​Pre-registration required. Space is limited and spots sell our early! Use our "Contact Us" page to register for this event. ​ Please let us know your preference for early or late tour. Note received (along with a lifetime membership) after last year's "Tour After Dark"
**NOTE: All tours of the Christie House require the attendee to spend an hour or more standing, walking up and down multiple flights of stairs, in dusty conditions. Long Prairie's City-Wide Garage Sales and Crazy Days - July 8 and 9. House calls were an adventure for prairie doctors. 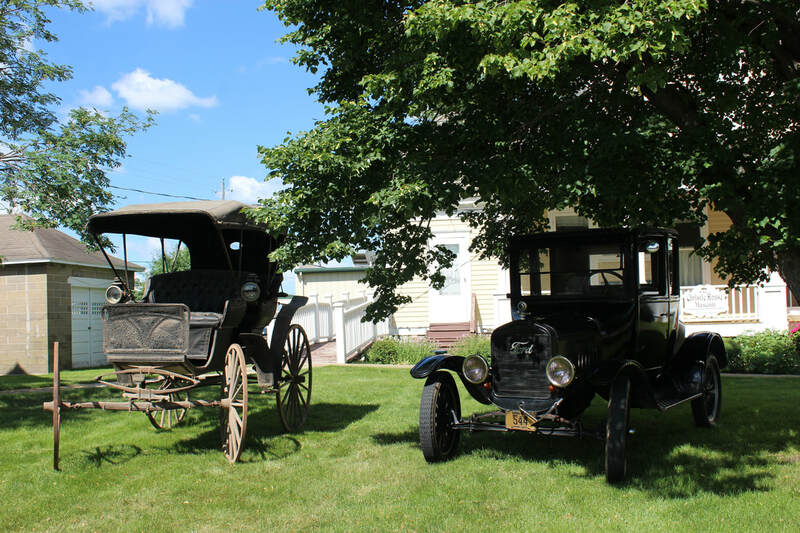 Also on display will be a carriage purchased in Long Prairie in 1912, Williams Dingmann horse-drawn hearse and authentic stage coach, 1930 fully restored Model A, 1946 Chevrolet pickup, and more!! 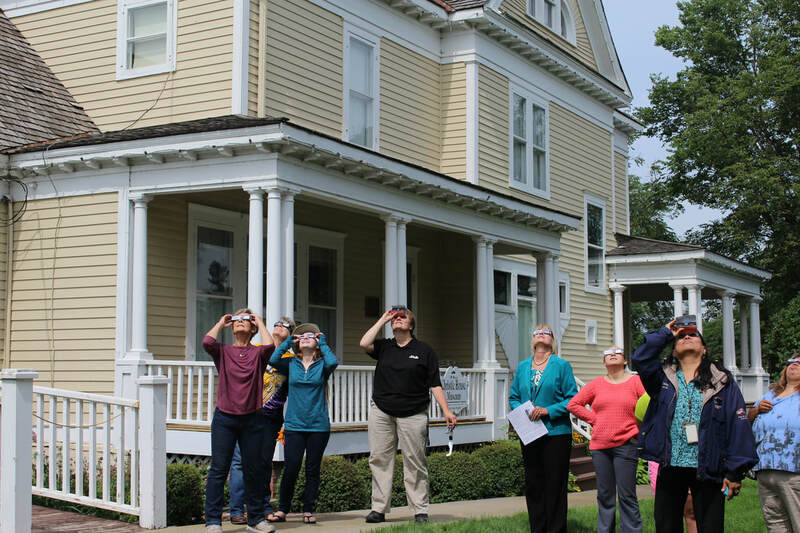 ​ Tours of the house will begin at 1:00 and 3:00 pm. 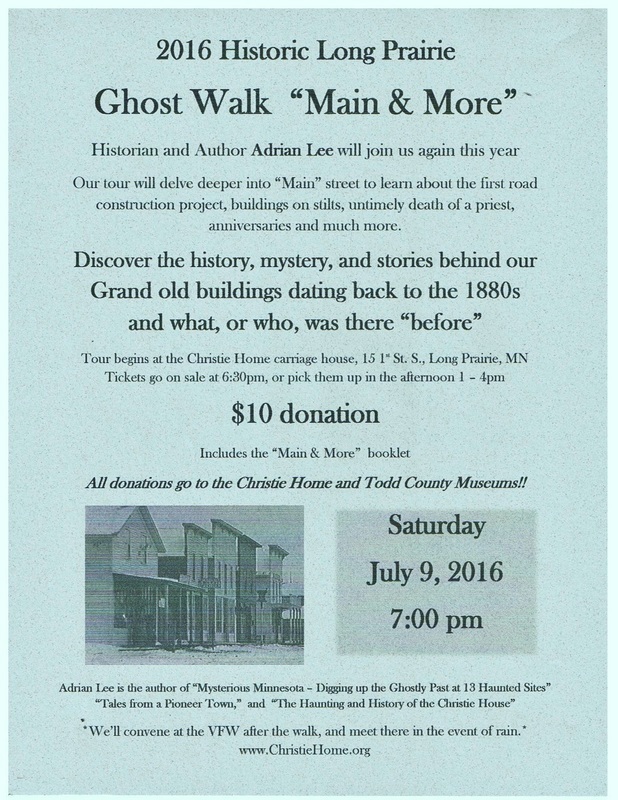 July 9: 3rd Annual Historic Long Prairie Ghost Walk - "Main and More"
As you travel down your main street have you ever really looked at the buildings and wondered what was there before? 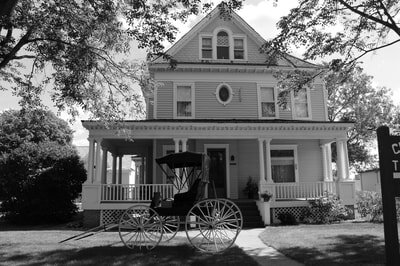 We'll explore the "ghosts" of the original main street - and those of a few of their owners too! 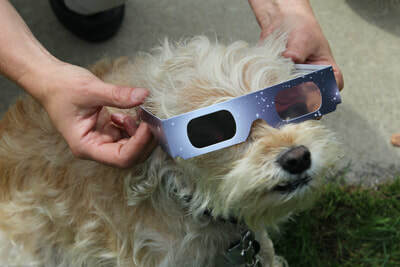 ​so he will be also be commenting on thier findings. $10 per person, includes the "Main and More" booklet. 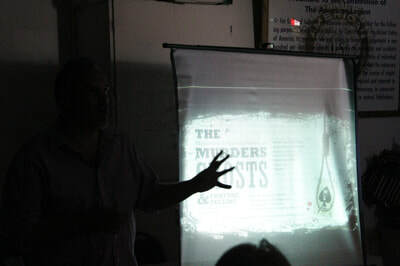 ​ Tour begins at the Christie carriage house at 7 pm. Carriage house will open at 6:30 for registration. Tickets will be on sale all afternoon in the carriage house. 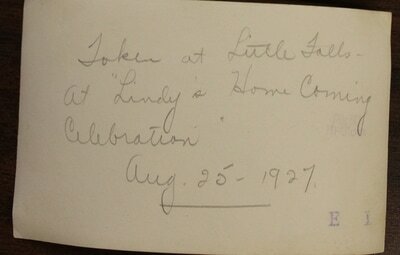 ​ All proceeds go to the Christie Home Museum and the Todd County Museum. 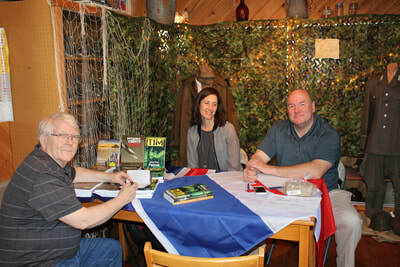 Adrian Lee will be at the carriage house from 1 - 4 pm for book-signings. 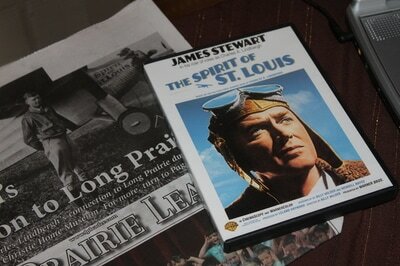 His latest book "Mysterious Midwest," being published later this year, begins with a chapter on Long Prairie. May 21, 2016: Military Appreciation Day! Christie carriage house will be open from 11 am - 4:30pm. 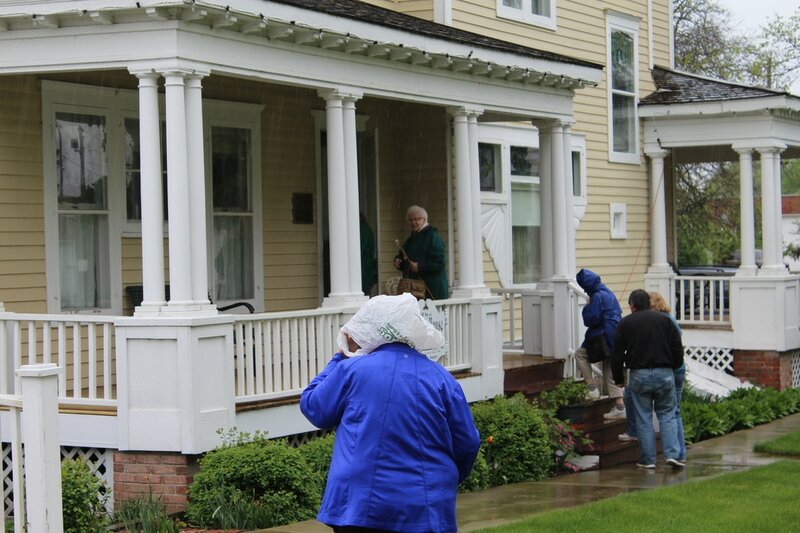 Tours of the Christie Home will be conducted at: 11 am, 1 pm, and 3 pm. Military veterans and their families tour for FREE! Todd County Veteran's Services Office will be providing refreshments. 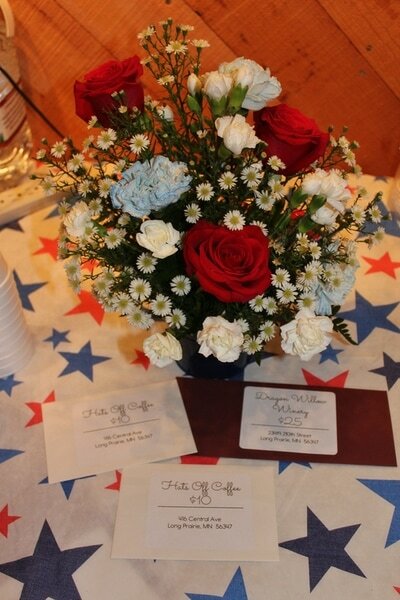 THANK YOU to our Veterans, from the Christie Home Museum! ​June 18, 2016: Prairie Days! 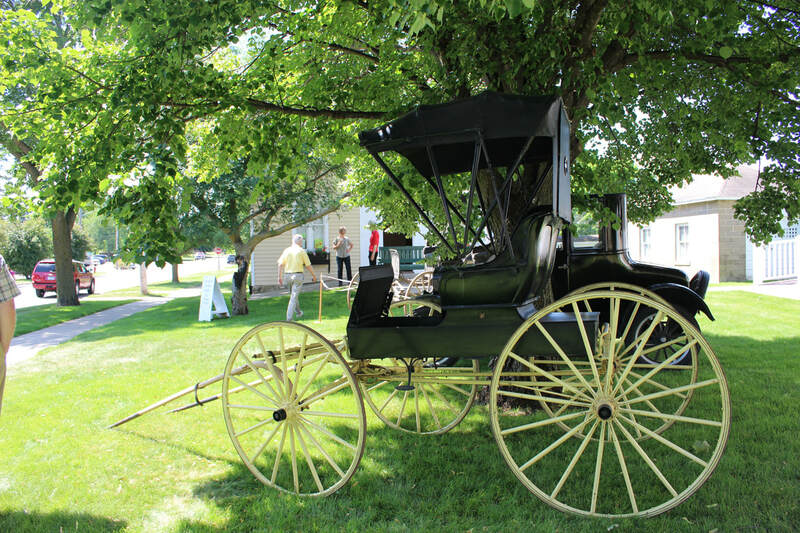 Extended hours - The Christie carriage house will be open from 11 am - 4:30 pm, with tours of the house conducted at 11 am, 1 pm and 3 pm. Be sure to watch for our entry in the Prairie Days parade, which begins at 6 pm. ​It's time to show the Christie Home Museum some L O V E by Heart Bombing 2016! The Preservation Alliance of MN has designated the Christie House as one of their official "Heart Bombing" sites. What does that mean? We need you to make Valentines for us! Valentines that let the world know why it is important to preserve buildings and museums like the Christie House. OR you can drop off your hearts at the Christie carriage house on Feb. 12, 1 - 4 pm, check out the other hearts, have some goodies, and swap Doc Christie tales! ​ Your hearts and Valentines will be displayed in the house windows, so everyone knows that you love us! The 2015 Tour After Dark is SOLD OUT! Thank you to everyone who signed up early!! We're going to have a blast! We DID have a blast! THANK YOU everyone for helping us raise money for new LED Christmas lights for the house! Thanks to all our sponsors for the door prizes and goodies! Space is limited to 15 people per tour. You MUST register with us by Oct. 5th. 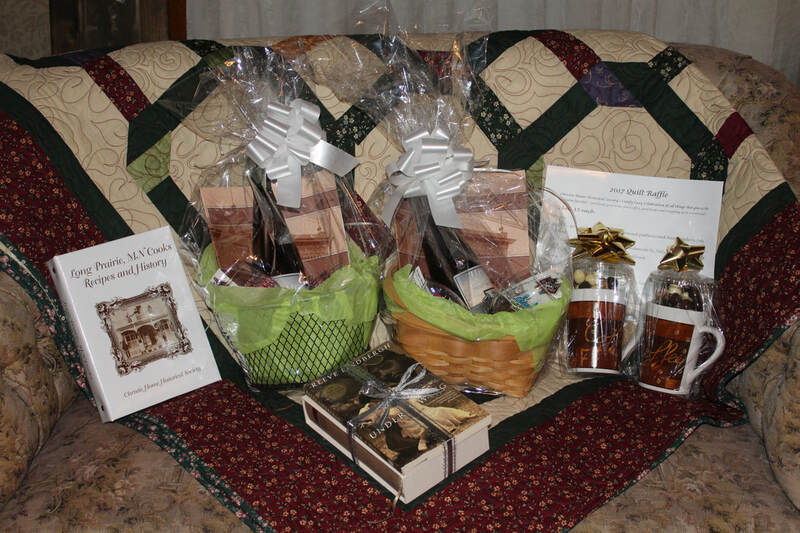 for supporting the Christie Home and Todd County Museum! Thanks to you the Christie house has NEW Curtains in the kitchen, pantry and living rooms. You've made the house look even more beautiful! Father's Day cake by MnM Cake Design, Long Prairie! Refreshments courtesy of Everybody's Market! What a perfectly fabulous cake!! Thank you Misty!! We hated to cut into it! THANK YOU to everyone who stopped by this weekend! December 2014: The theme for December at the Todd County Museum will be "A Christie Christmas," featuring fancy dresses, fur coats, table settings, vintage Christmas cards, and more, from the Christie Home Museum. Items on display now through the end of December. 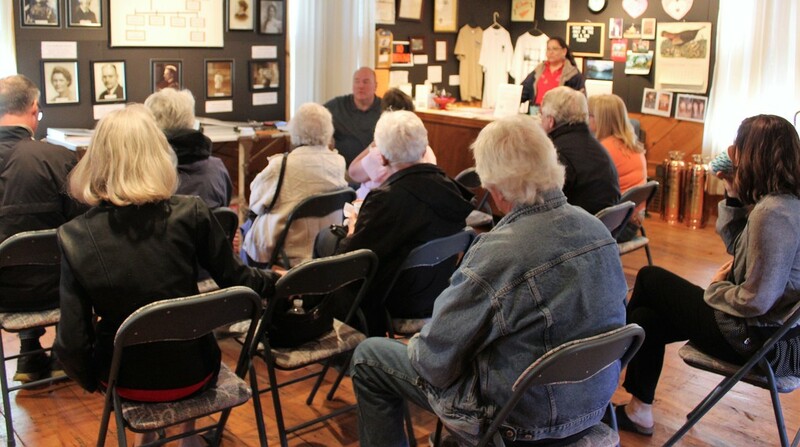 Dec. 10: Todd County Museum Open House! 2 - 5 pm. Stop by for coffee and cookies. Adrian Lee will be at the museum during this time, and at 3:30 pm will give a presentation based on More Mysterious Minnesota, his upcoming book which will include a chapter on the Christie House! Tour after Dark is SOLD OUT!! Thank you!! for helping make this an awesome event! Click on photos below for full view. 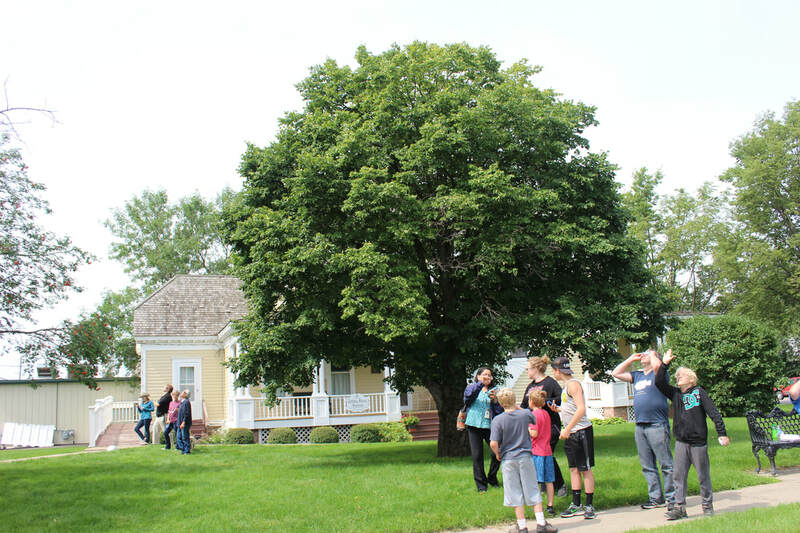 "Long Prairie 'Main Street' History Walk," which attracted 120 history buffs!